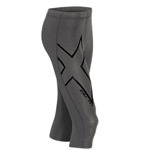 Choosing which style of compression therapy products are right for you should be easy. You can choose between either compression stockings, compression pumps and Compression Garments at Vitality Medical, we have the widest selection of compression therapy equipment, supplies and products on the web. Can I Be Reimbursed For My Compression Pump?